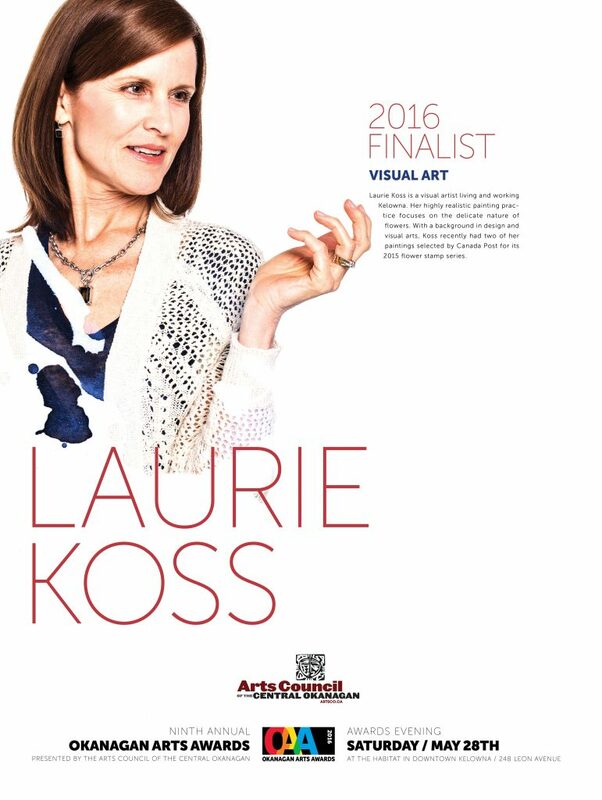 Laurie Koss is a visual artist living and working Kelowna. Her highly realistic painting practice focuses on the delicate nature of flowers. With a background in design and visual arts, Koss recently had two of her paintings selected by Canada Post for its 2015 flower stamp series. 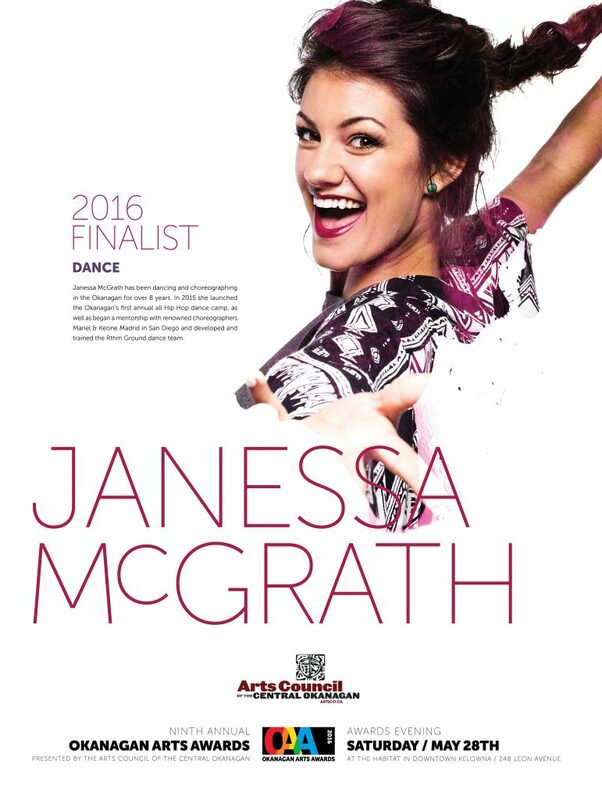 Janessa McGrath has been dancing and choreographing in the Okanagan for over 8 years. 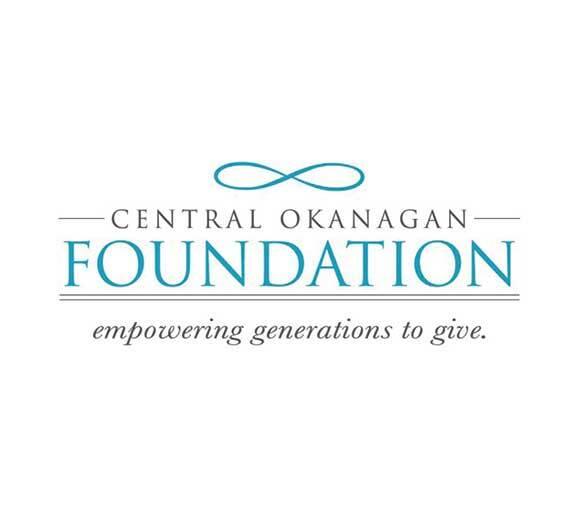 In 2015 she launched the Okanagan’s first annual all Hip Hop dance camp, as well as began a mentorship with renowned choreographers Mariel & Keone Madrid in San Diego and developed and trained the Rthm Ground dance team. Andrew Judah is a Songwriter and composer with 3 full length albums under his belt. 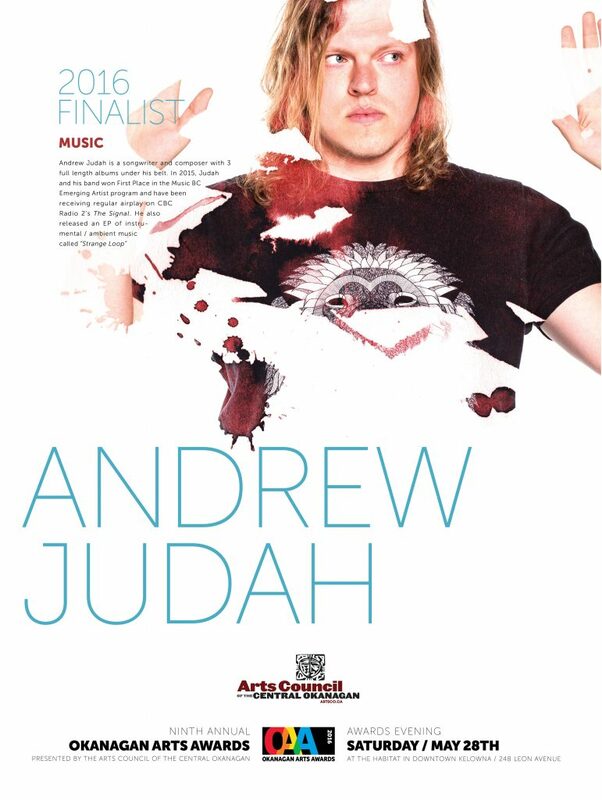 In 2015, Judah and his band won First Place in the Music BC Emerging Artist program and have been receiving regular airplay on CBC Radio 2’s The Signal. He also released an EP of instrumental/ambient music called “Strange Loop”. 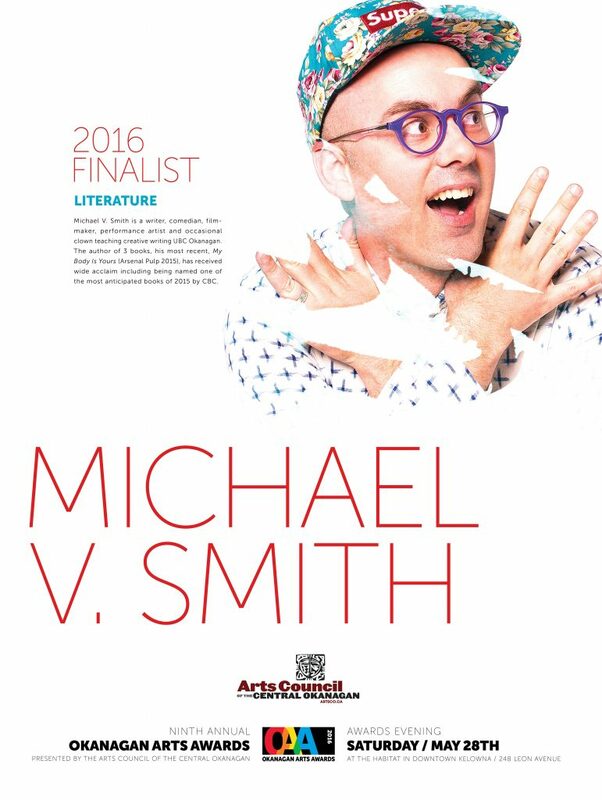 Michael V. Smith is a writer, comedian, filmmaker, performance artist and occasional clown teaching creative writing UBC Okanagan. The author of 3 books, his most recent, My Body Is Yours (Arsenal Pulp 2015), has received wide acclaim including being named one of the most anticipated books of 2015 by CBC. 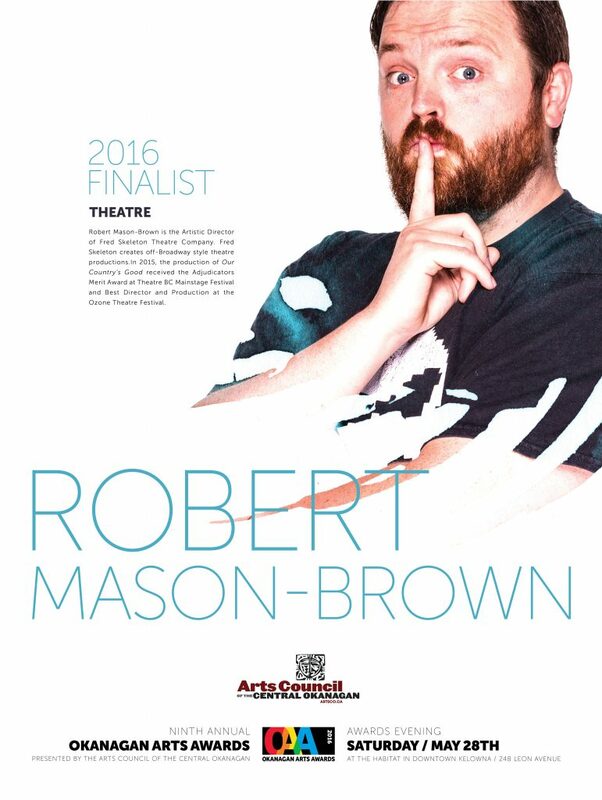 Robert Mason-Brown is the Artistic Director of Fred Skeleton Theatre Company. Fred Skeleton creates off-Broadway style theatre productions. 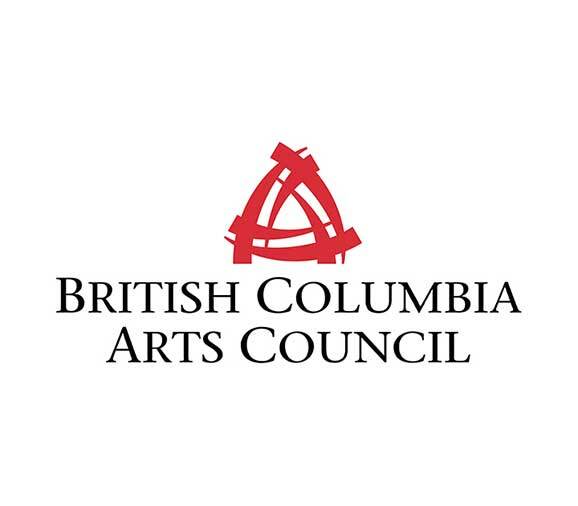 In 2015, the production of Our Country’s Good received the Adjudicators Merit Award at Theatre BC Mainstage Festival and Best Director and Production at the Ozone Theatre Festival. 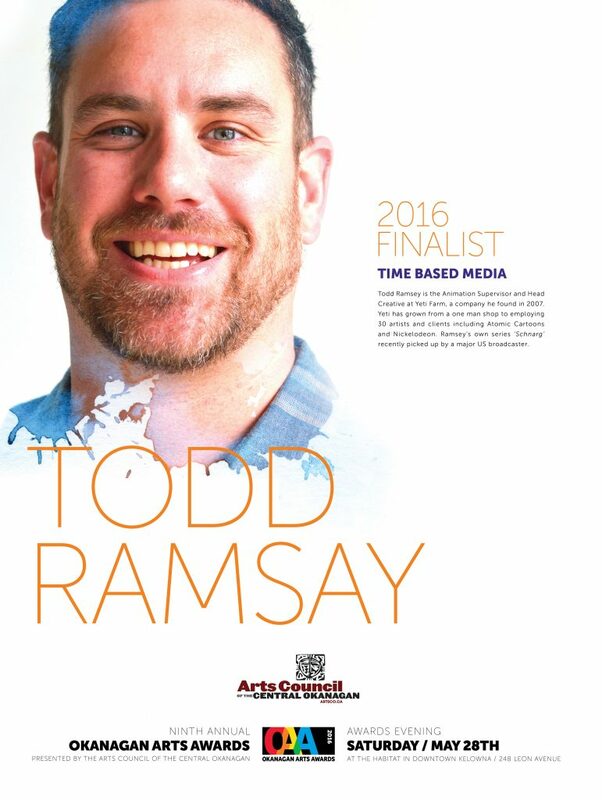 Todd Ramsey is the Animation Supervisor and Head Creative at Yeti Farm, a company he found in 2007. Yeti has grown from a one man shop to employing 30 artists and clients including Atomic Cartoons and Nickelodeon. Ramsey’s own series ‘Schnarg’ recently picked up by a major US broadcaster. 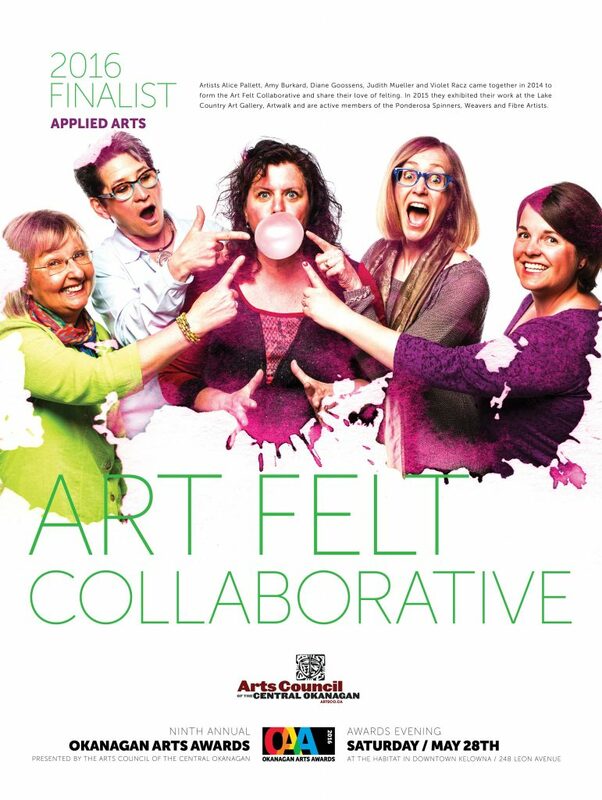 Artists Alice Pallett, Amy Burkard, Diane Goossens, Judith Mueller and Violet Racz came together in 2014 to form the Art Felt Collaborative and share their love of felting. 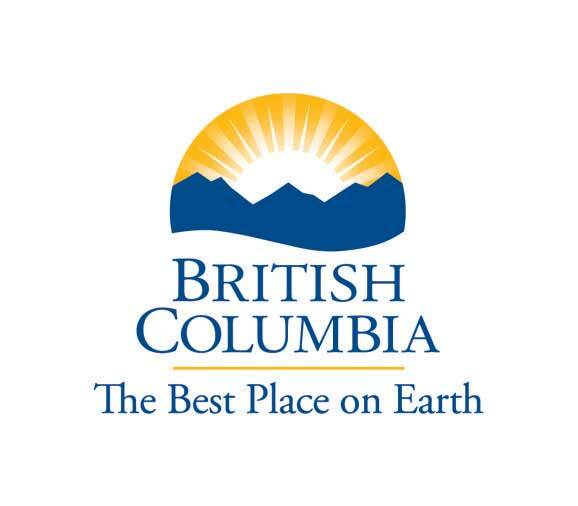 In 2015 they exhibited their work at the Lake Country Art Gallery, Artwalk and are active members of the Ponderosa Spinners, Weavers and Fibre Artists. 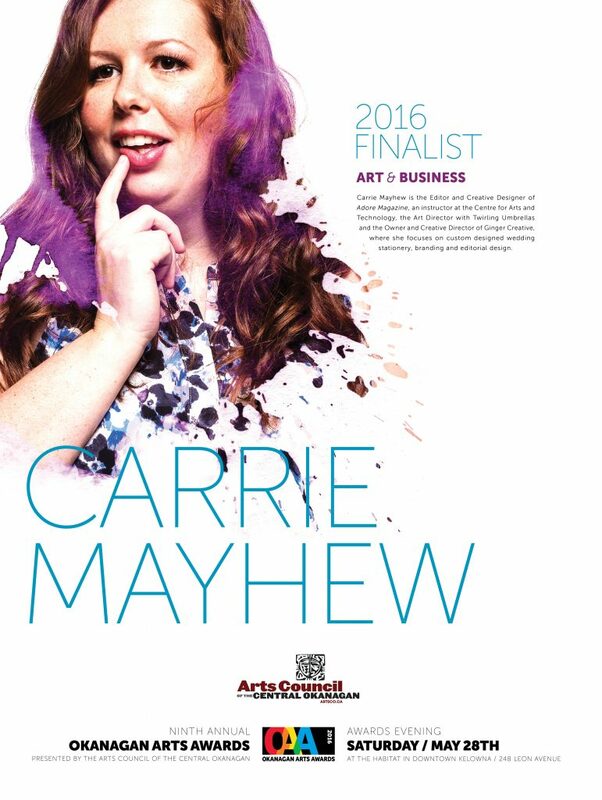 Carrie Mayhew is the Editor and Creative Designer of Adore Magazine, an instructor at the Centre for Arts and Technology, the Art Director with Twirling Umbrellas and the Owner and Creative Director of Ginger Creative, where she focuses on custom designed Wedding Stationery, branding and editorial design. The Heritage Retirement Residence is a fairly new business in West Kelowna. 2015 was their first year participating in Westside Culture Days. 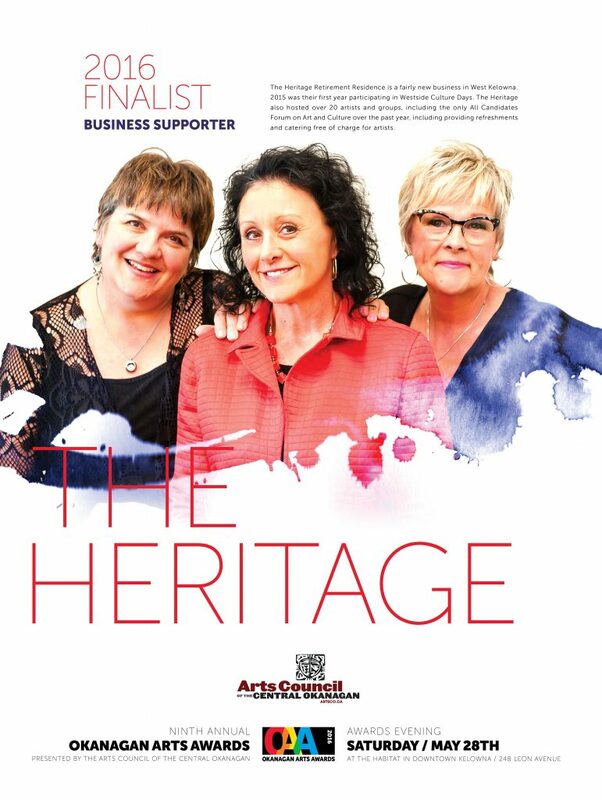 The Heritage also hosted over 20 artists and groups, including the only All Candidates Forum on Art and Culture over the past year, including providing refreshments and catering free of charge for artists. 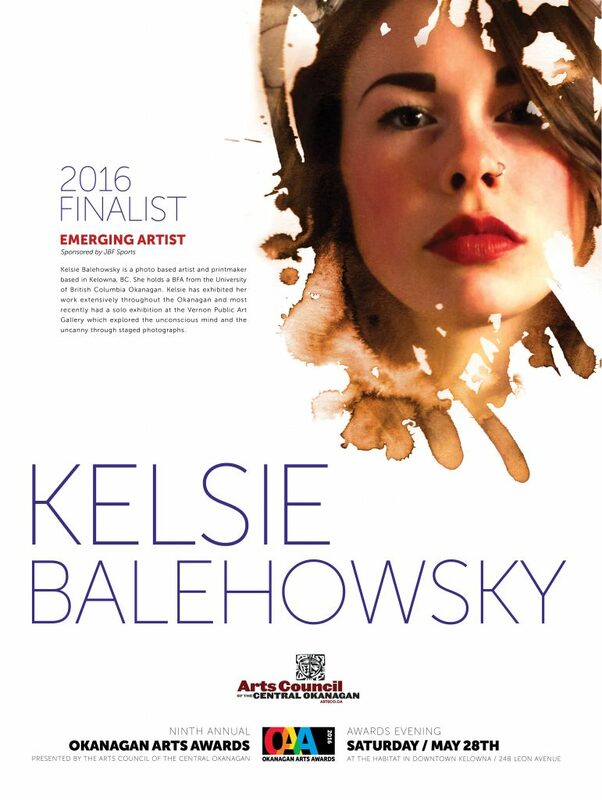 Kelsie Balehowsky is a photo based artist and printmaker based in Kelowna, BC. 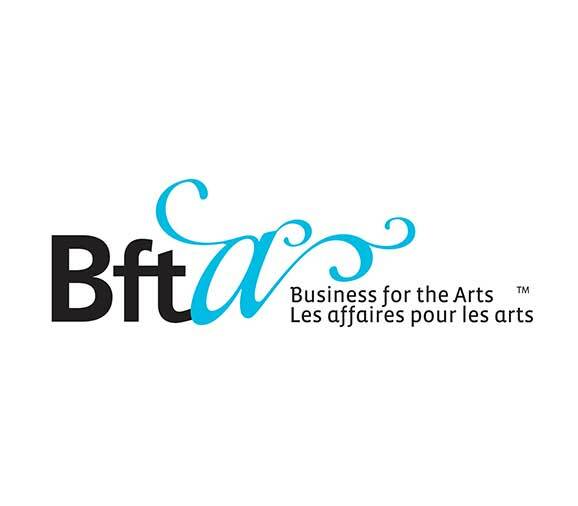 who holds BFA from the University of British Columbia Okanagan. 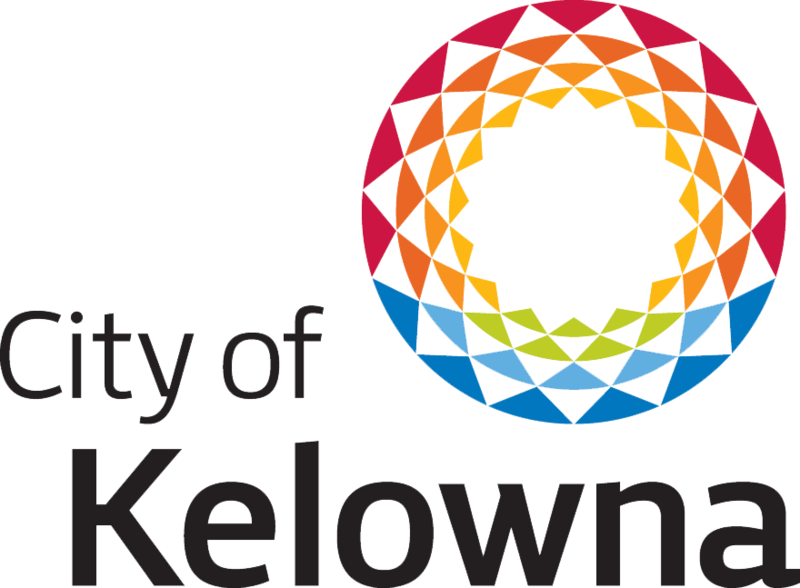 Kelsie has exhibited her work extensively throughout the Okanagan and most recently had a solo exhibition at the Vernon Public Art Gallery which explored the unconscious mind and the uncanny through staged photographs. 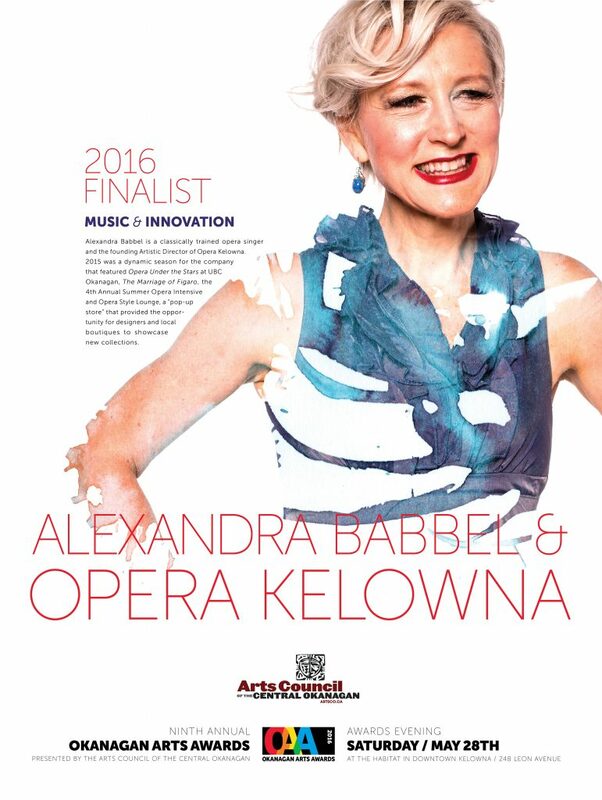 Opera Kelowna was founded by Alexandra Babbel, a classically trained opera singer. 2015 was a dynamic season for the company that featured Opera Under the Stars at UBC Okanagan, the Marriage of Figaro, the 4th Annual Summer Opera Intensive and Opera Style Lounge, a “pop-up store” that provided the opportunity for designers and local boutiques to showcase new collections. 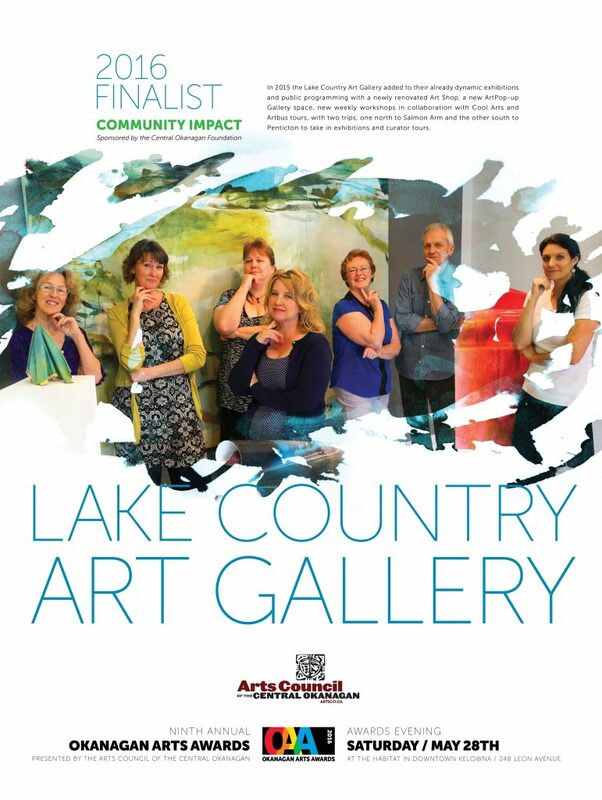 In 2015 the Lake Country Art Gallery added to their already dynamic exhibitions and public programming with a newly renovated Art Shop, a new ArtPop-up Gallery space, new weekly workshops in collaboration with Cool Arts and Artbus tours, with two trips, one north to Salmon Arm and the other south to Penticton to take in exhibitions and curator tours. 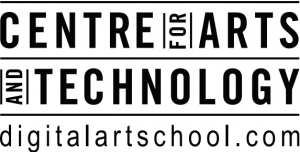 Interested in some of our previous winners? Check them out below!